Do You Do Your To Do? When I examine the landscape of Christianity, I think our practical theology is so skewed that it’s more twisted than a Kansas twister. The focus of the church today seems to be more on a person’s bank account than on the salvation of no-account sinners. Which of the items above is on your To Do List? How do you view the poor and needy? There has been a tendency throughout the history of the church to overlook the “least of these” instead of looking out for them. 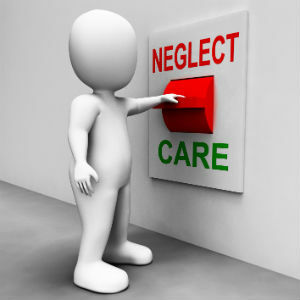 “Neglect” and “daily” are the key words in the Scripture above. “Neglect” refers to a side by side comparison for the purpose of value, and “daily” refers to the frequency of the distribution. What does your daily distribution consist of and who do you neglect? Are your prayers reserved for just your family and friends or do they include the poor, needy, and the misfits of society? Are you so focused on getting more and achieving personal happiness that you forget the enslaved, the blind, and the oppressed? If so, you’ll find happiness fleeting and never discover true contentment. Paul experienced many “have” and “have not” moments in his life, and he knew that to “have not” Christ was to not have contentment. From the moment he met Jesus, Paul focused his life on the To Do List of his Lord. It became his mission and goal, and it is the secret to living a life of contentment.